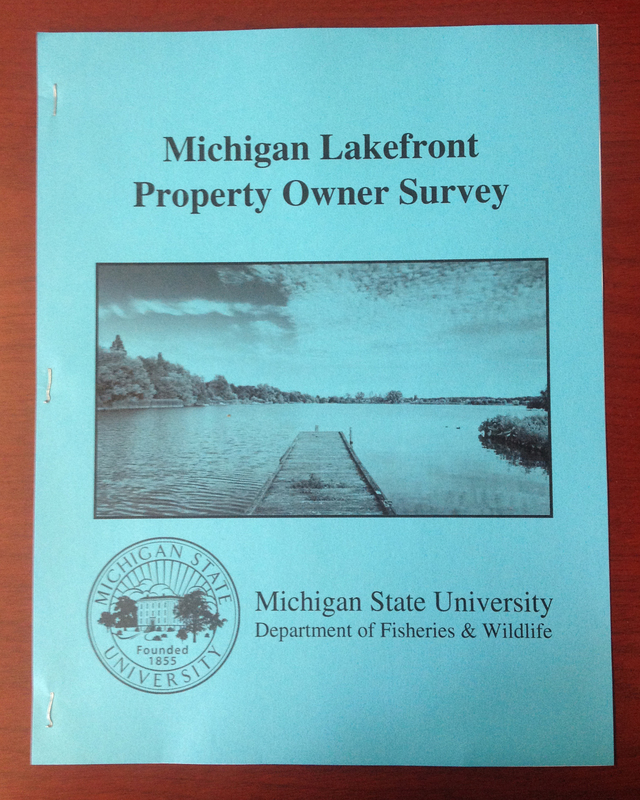 We are conducting a study of lakeshore properties that is important for informing shoreline and fisheries management approaches this summer. This study is part of an effort to learn how people who own or lease shoreline properties make decisions regarding shoreline and aquatic plants on their properties. The results will be used by lake and fishery managers working to maintain healthy lake ecosystems and meet the diverse needs of lakeshore stakeholders. The study is being conducted by Joe Nohner, a Ph.D. student in the Fisheries and Wildlife Department at Michigan State University and a Board Member on the Michigan Chapter of the North American Lake Management Society, and Dr. William Taylor, a Distinguished Professor at Michigan State University. In order to conduct this research, we are sending confidential and anonymous surveys to the members of lake associations this summer. It is important that we are able to survey members from as many lake associations as possible. If you have received our invitation, we need your help to conduct this research! The mailing lists are required to remain confidential and will only be used for the purpose of this important survey. Survey responses will be assigned an identification number and never associated with individuals names in order to protect privacy. Joe is happy to share a summary of the results with you. The results will provide valuable information about the diverse uses of lakeshore properties, the prevalence of altered shorelines, the willingness of property owners to participate in shoreline conservation programs, and the factors that might inhibit their participation. If you have concerns or questions about this study please contact Joe Nohner by email at JNohner@msu.edu, by phone at 402-660-0282, or by mail at Joe Nohner, CSIS, MSU, 115 Manly Miles Building, 1405 S. Harrison Rd., East Lansing, MI 48823.